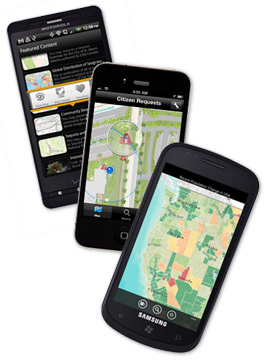 The ArcGIS App extends the reach of your GIS from the office to the field. Navigate maps, collect and report data, and perform GIS analysis using the free downloadable application from Google Play, the Apple App Store, Amazon Appstore, and Windows Phone Marketplace. The app includes a developer-focused Runtime SDK that you can leverage to build your own custom mobile applications. Discover and share content by browsing map galleries from ArcGIS Online or leverage services from your existing enterprise GIS. Collect, edit, and update features and attributes.